Rotary will again be represented at the 2019 Rose Parade. 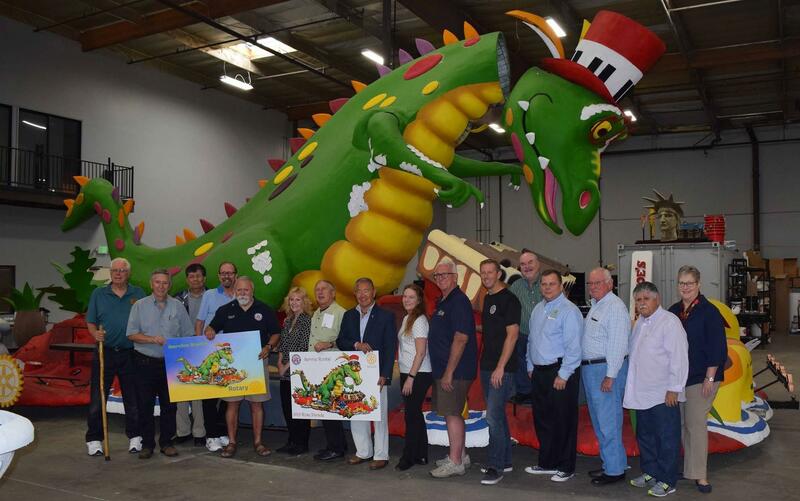 The parade theme is “The Melody of Life” and the Rotary float will feature a piano-playing dragon and the tag line: “Service Rocks”. There are several ways you can get involved: i) buy a raffle ticket for a chance to ride the float; ii) donate $10,000 for a guaranteed ride, or hoof it alongside the float for $6,000; iii) contact Don Fipps to sign up to decorate the float in the days before the New Year’s Day parade. The float is funded independently of Rotary International and provides fantastic visibility for Rotary via parade goers and a global TV audience. Rotary’s entry has won the Princess Award (most beautiful float under 35’) two years running.